Though it may be the season for frost on the pumpkins, this little fellow has confidence in the warmth of his large floppy hat. Prepared for both work and play, he holds a broom in one hand and a tiny bird in the other. Finished size is 13" x 15". 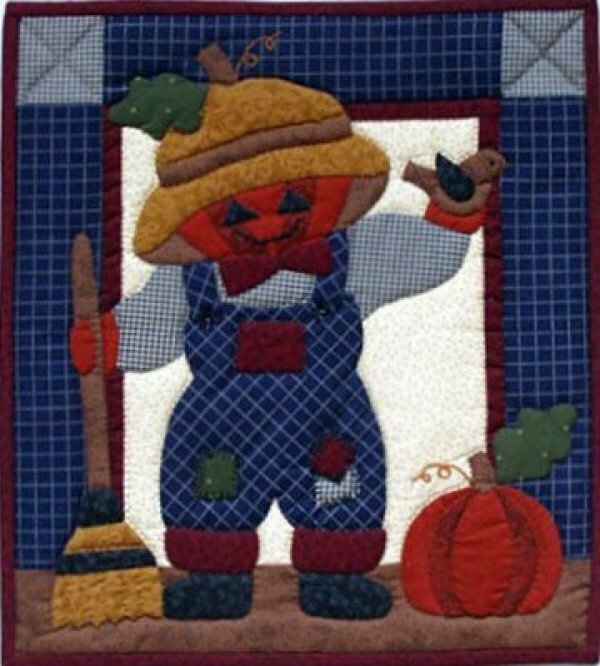 Kit includes all 100% cotton fabrics needed to complete the quilt (including quilt top, backing, and binding), plus batting, embroidery floss, buttons, precise patterns, and complete instructions. Colors are navy, red, pumpkin, green, gold, and brown.